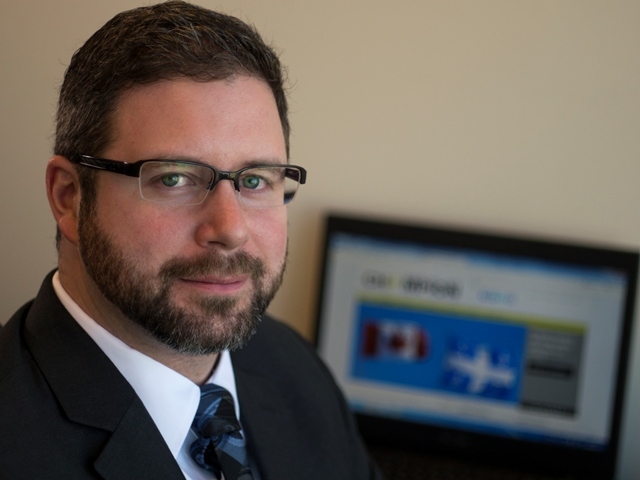 MONTREAL and TORONTO (CANADA), October 31, 2014: Champion Iron Limited (ASX: CIA, TSX: CIA)(“Champion” or the “Company”) is pleased to advise that it has appointed Mr. David Cataford as the Company’s new Vice President, Engineering. As Champion’s Vice President, Engineering, Mr. Cataford will assume responsibility for delivering Champion’s Feasibility Study for the Consolidated Fire Lake North (“CFLN”) project. The successful delivery of the full Feasibility Study of CFLN remains a primary focus for the Champion board and management. Champion Executive Chairman and CEO Michael O’Keeffe said the Company was pleased to have secured an experienced manager of Mr. Cataford’s calibre to oversee the most important work program for Champion’s flagship project. “We are excited to welcome David Cataford to lead the team that is going to deliver the Feasibility Study for the Consolidated Fire Lake North project. David’s comprehensive understanding of iron-ore processing and mining operations in the Labrador Trough further strengthens Champion’s ability to deliver the case for the development of a long-life, low-cost operation,” Mr. O’Keeffe said. Prior to joining Champion, Mr. Cataford held various management positions at Cliffs Natural Resources Inc (“Cliffs”), including senior roles at their major iron ore mine, Bloom Lake, in Québec. He was part of the management team at Bloom Lake that increased mining capacity by 80%. Mr. Cataford was also instrumental in delivering the completion of phase-one ramp-up of the Bloom Lake plant. Mr. Cataford’s experience in iron-ore mining includes ore characterization projects at Bloom Lake and ArcelorMittal’s Mont Wright, and adapting the recovery circuit to meet new customer’s demands. Mr. Cataford has a deep understanding of iron ore and mining in the region. He was a research committee member of COREM, the largest organization in Canada focused on mineral processing research and development, and is currently the Chair and Co-founder of the North Shore and Labrador Mineral Processing Society which hosts an annual conference for Labrador Trough projects. Mr. Cataford also sits on the board of Canadian Mineral Processors. The continued focus of the board and management of Champion is on completing a full Feasibility Study for the development of Consolidated Fire Lake North project, producing 9.3Mtpa of concentrate at 66% Fe. When in production, the saleable product is planned to be railed to Sept-Îles and then shipped to customers in Asia and Europe, where it is expected to command a premium. The recent decision by the Government of Quebec to allocate up to C$20 million to the study of a rail link between the Labrador Trough and Sept-Îles has provided a major stimulus for all mining companies in the region, including for Champion’s Feasibility Study.